• Adjustable face angle from standard, to open 1 degree or closed 1 degree. • 3DS Face Technology is a unique change in the bulge and roll of the club face increased forgiveness with on-center and off-center hits for greater accuracy. • Advanced 3D Surfacing face technology promotes optimal spin and launch oh high toe and low heel hits. 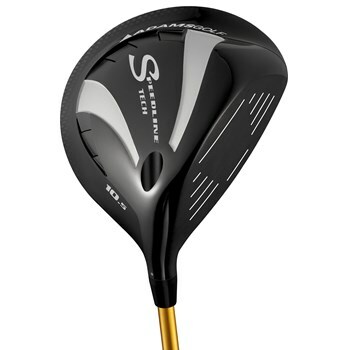 • A rear carbon fiber wing is attached to a titanium chassis for a large and confidence inspiring club head.